After a few days of very minimal traffic, the drilling rig finally started to arrive. The good news was that our supervisor told us to just wave the big trucks through and not worry about capturing their information either coming in or going out. The reason for this policy is the gate is a single width (only 16′) and the big trucks just barely fit through. The last thing we want is a traffic jam, which would result in trucks needing to back up or sitting out on the road, which is incredibly dangerous for a county road with a speed limit of 70mph. We very much appreciated the common sense policy and wow has it made a world of difference. Instead of going out to the gate and opening and shutting it every time, we simply lean out our door and wave the big trucks through. This new policy was even more appreciated, because the weather cooled down very suddenly. We went from 90 degree weather with 80% humidity to 41 degree weather with 37% humidity in a matter of a few hours. It’s great not needing to stay outside or even bundle up since our stints outside are much faster. Most importantly because of the new policy we were able to see Cori and Greg! 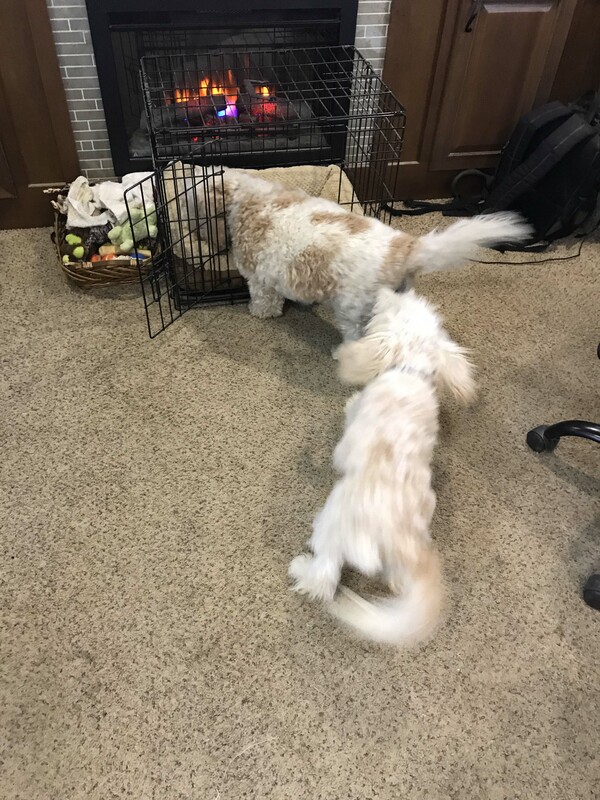 They were passing through on their way back from a trip and wondered if they could stop by. Since we have a large patch of grass they could fit their little RV in AND we knew we wouldn’t have constant interruptions we said were thrilled to see them. We love it when people come and see us while gate guarding, but it is no fun when you have to stop every five minutes and run out to the gate. As soon as they arrived I grabbed Hobie and brought him in the house and Jack went absolutely ballistic. He not only remembered Hobie, but jumped all over him in glee. They were moving so fast I couldn’t even get a non blurry picture, and this was the best one I could get. I also wondered how Jack would do with Cori and Greg since he has been pretty suspicious of any strangers we have seen, but he obviously remembered them. He jumped into Cori’s lap and was all over Greg throughout their entire visit. I don’t know if it is because they smelled like Hobie or he remembered them, but it was really amazing to see. It has been two months since we have seen them and it was like it was yesterday. 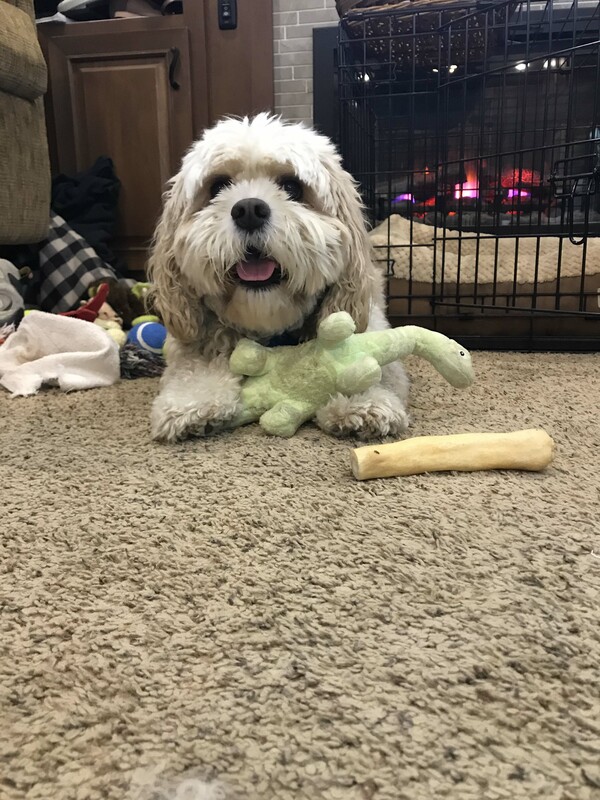 Hobie, of course, remembers his Aunt Tracy and he settled in quickly, stealing all of Jack’s toys and exhibiting his usual “thug dog” behavior :). But he was also very patient with Jack’s exuberant puppy shenanigans. Thug Dog!! Hobie and Jack look a ton alike. It was great seeing them and very nice that they went out of their way to stop and find us. We aren’t exactly off a main road out here, so you have to really want to see us to visit! 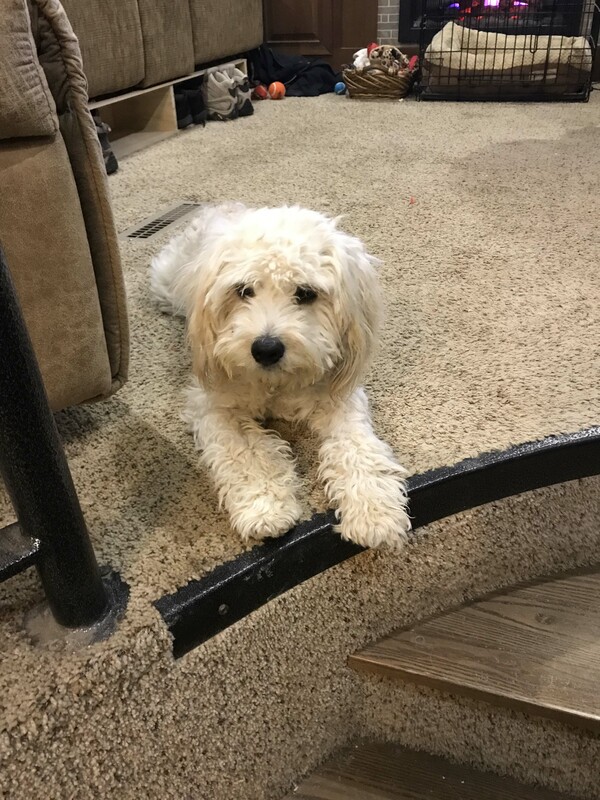 The only downside was Jack was super bummed after they left and starting whining as soon as his friend Hobie was gone. He bounced back after a few hours but there was some serious moping going on. 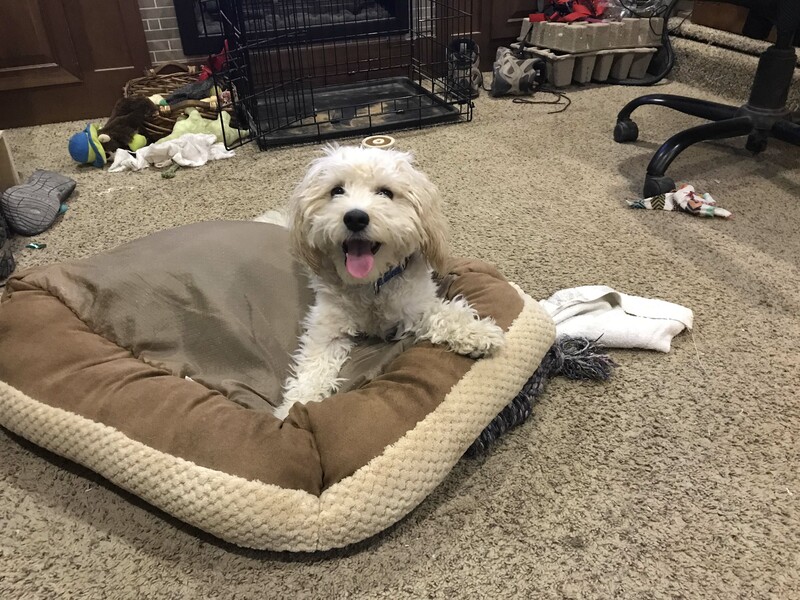 I finally took his dog bed out of the crate and let him attack it and that cheered him up. 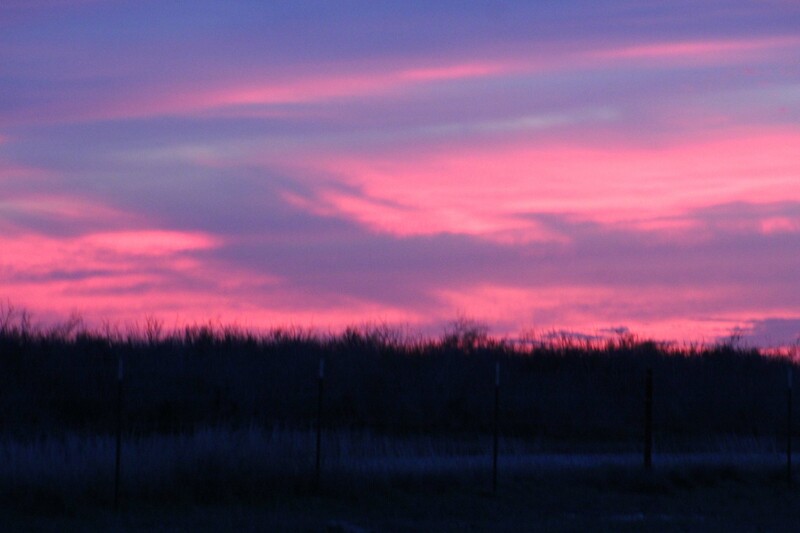 The next day I headed into Cotulla for the first time because I needed to pick up a package we ordered from Amazon. When you are gate guarding it really matters what the nearest small town has in the way of services and Cotulla wasn’t that bad. They have a small ACE hardware store that accepts packages, and a decent Lowe’s grocery store. The Lowe’s stores are in several of these small towns and actually have a decent selection. The prices of course are much higher, but if you buy what is on sale you can get some nice items. They also have really decent meat and their beef in particular looks very nice. It is all guaranteed Texas beef and in general Texas beef really is better than any other we have had. We will need to travel an hour to Pearsall for an HEB or Walmart, but it’s nice to have a store 20 minutes away for bread and other quick items. After checking out the hardware store and the grocery store I drove a little around town and as things go it wasn’t that bad. Because it is right off the interstate (and near the oilfields) there are several hotels and small restaurants. There is a McDonald’s, Wendy’s and a Pizza Hut which is a pretty rare thing, and nice for those days when you want to treat yourself. It’s certainly not as nice as Kennedy, Texas (where we stayed last year), but much better than Encinal. Everything is relative. The package that I had delivered, was actually something I saw on a Superbowl commercial. I am not an impulse buyer, but I saw this dog bowl set with a storage container underneath and it looked interesting. 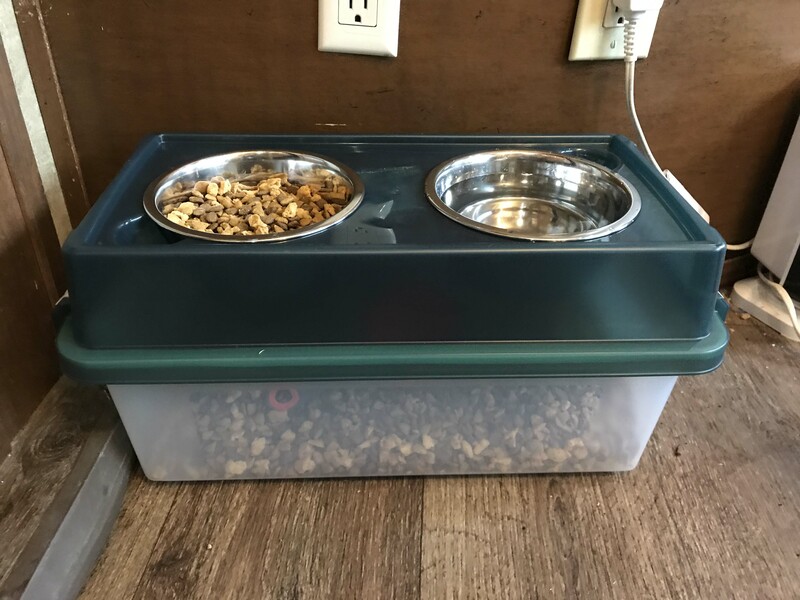 It is better for dogs to not have to lean down to eat their food, and the storage compartment solves another problem we were having with where to store the dog food. 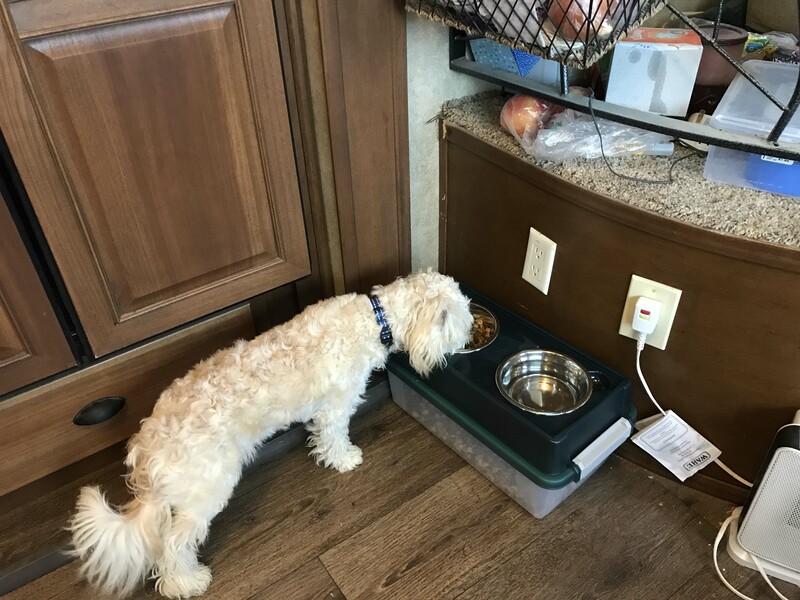 Added bonus, this should work much better on travel days and truly it is perfect for a dog in an RV. The Iris elevated dog bowls come in multiple colors and is Jack approved. They come in three sizes and we measured him before selecting the medium size and he immediately started feeding from it. It has been awhile since I have been this excited about a new purchase and I only wish we would have gotten one earlier. Fits perfect under the hanging baskets in our kitchen. 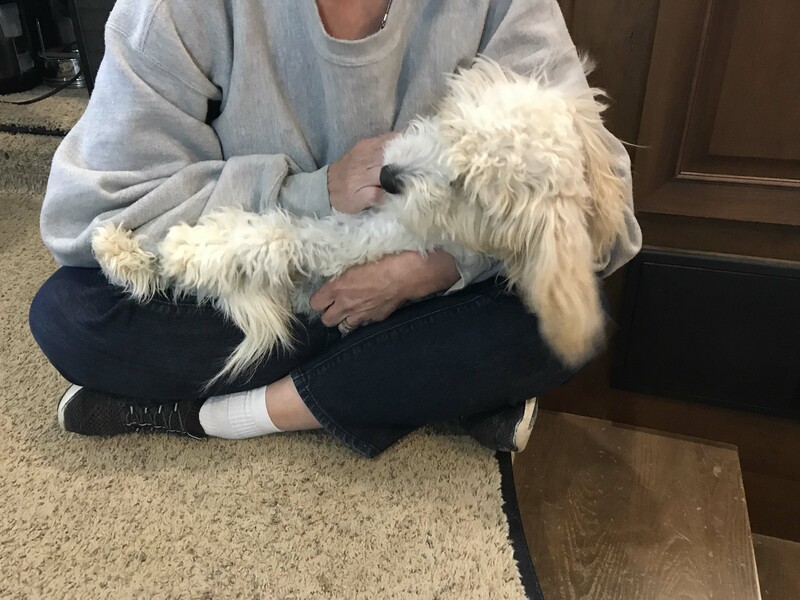 It holds up to 14 pounds of dog food, which is great. And Jack dove right in. I like that the bowls are large so less filling. Speaking of packages, Kyrston got her last present and loved the rattle I got her. 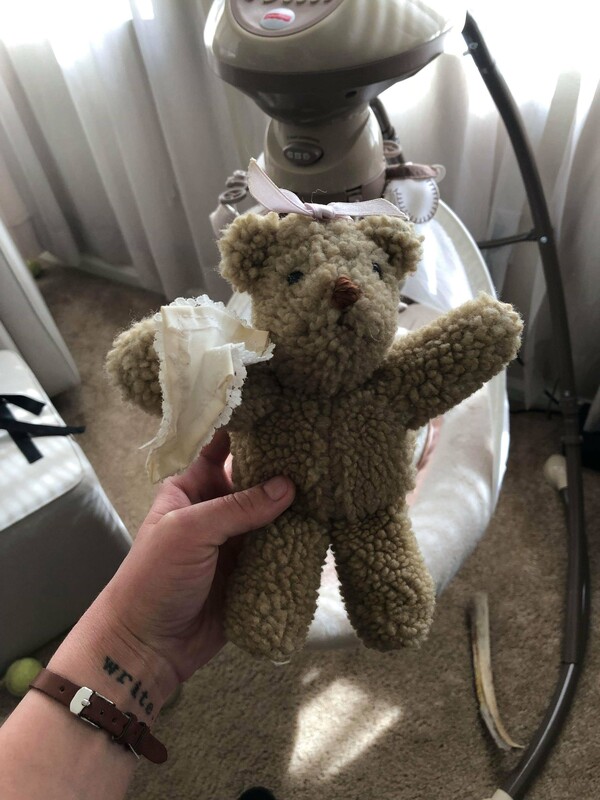 She even spent some time going through her “special box” from childhood and found the bear that she came home from the hospital with. One good thing I did as a parent was save items for the kids in plastic totes. Every kid has two of them, and when we sold the house we made sure they went with them. I had forgotten that the bear was even in there, but apparently I saved both the bear and the clothing she came home from the hospital in. It’s always nice when you have a good parenting moment, especially for something you did 30 years ago!! 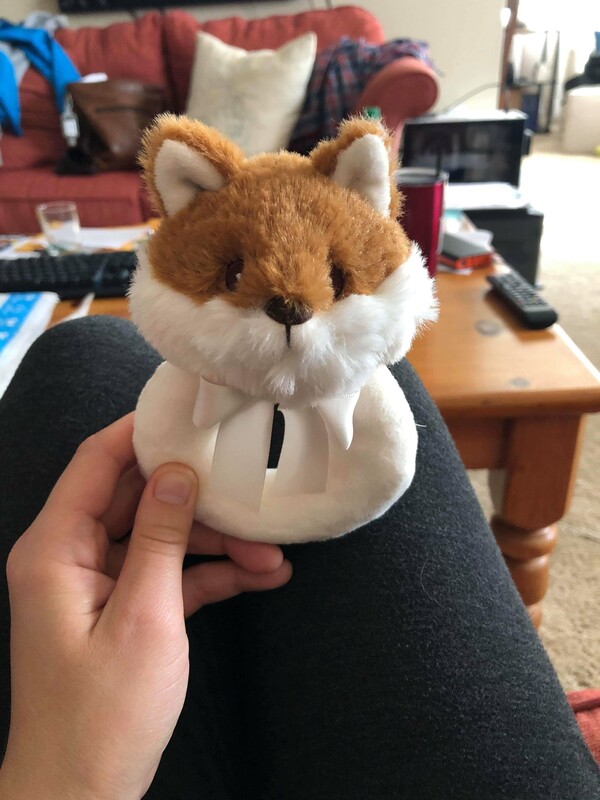 The Bearington Baby fox rattle I bought. The eyes are stitched, not plastic, so there’s no choking hazard. And her original 1989 bear. 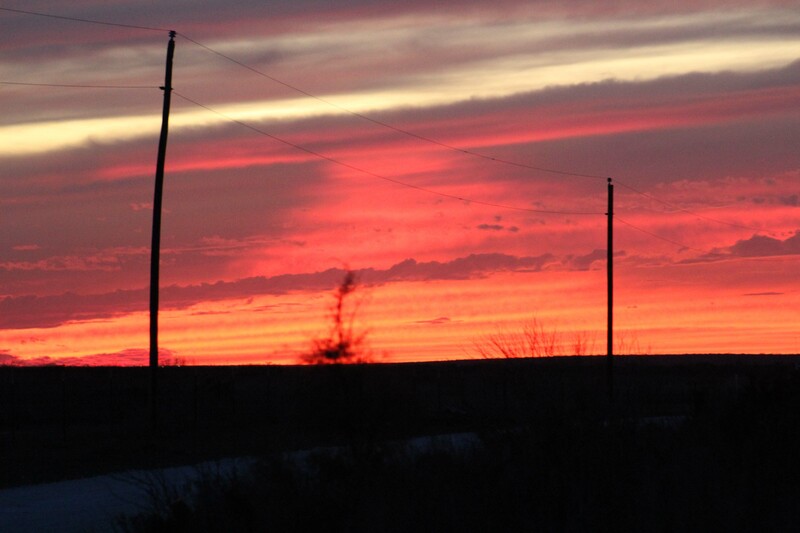 Finally, we had a truly spectacular sunset this week. 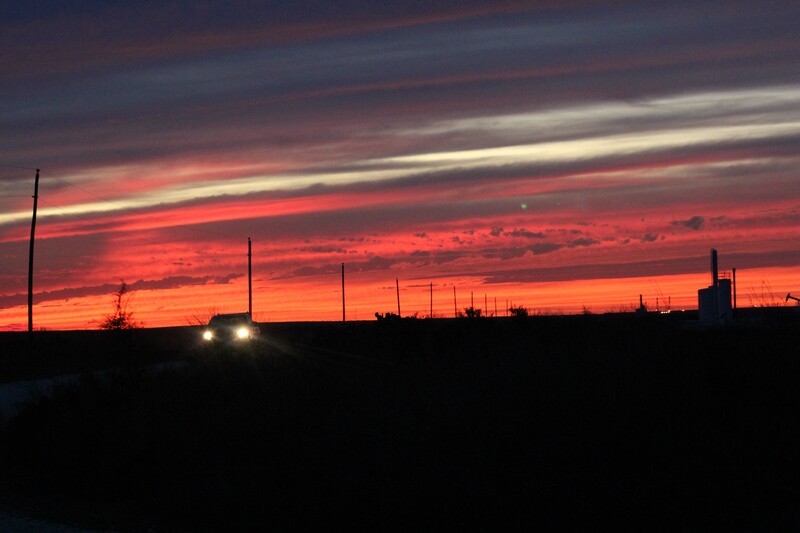 The colors were so deep and red and it’s a bit disappointing that I couldn’t capture the colors to what my eye saw. Lovely though. 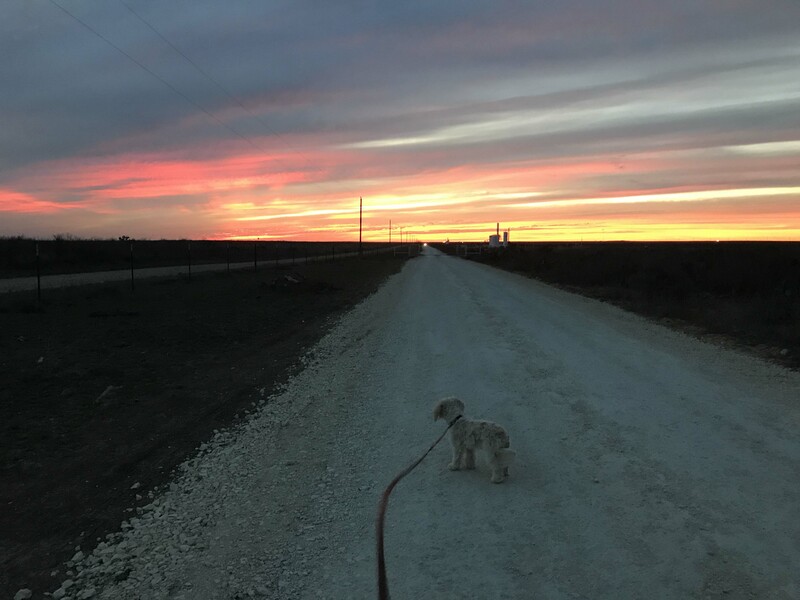 Jack checking out the sunset. The cell phone didn’t come close to getting the reds. I pulled out my long lens and Canon camera and it did better. Purchase the ebook telling the story of how we became full time RVers.